Do tires wear faster in hot weather? Sergio, who works at Sergio’s Automotive in Thousand Palms, explains. “Because tires are made of rubber and what people don’t normally see is the air in the tire actually expands more when the temperature rises. And on the asphalt on the freeway it’s a little hotter than normal because you’re getting all those cars going by all the time. Friction from contact with a hot road surface and friction within the tire produces even more heat.” The air inside the tire will rise and this increases the tire pressure inside the tire. In addition rubber becomes more soft and pliable as temperatures rise and friction increases the temperature of the rubber even more. Soft rubber on hot asphalt is a perfect place for tires to wear fast! Winter tires are made of softer rubber than summer tires so if you have winter tires on your car in the summer tire they will wear even faster than the normal summer tire. Once the snow is gone, if you live in areas where you get a lot of snow, it is time to install summer time tires. Low tire pressure will also increase the friction and help a rubber tire wear even faster. So how do you check your tread to see if it’s too low? Always purchase tires that are the right size for your car. Most people will just check the side wall of their existing tires and replace them with the same tire. 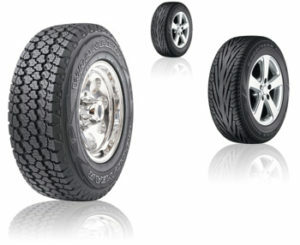 However your tire dealer can look up your car, make and model to see what range of tires are suitable for your vehicle. It is important to install the right kind of tires with the proper speed and load rating. They help your vehicle to maintain stability at low and high speeds. Improper tire size can cause accidents due to instability when turning corners or curves at high speed or even changing lanes on the highway. Improper tire size can also contribute to your tires wearing faster than normal. You really are not getting your mileage out of the tire that you are supposed to. Tires Wear Faster in Hot Weather. One of the best times to check your tires is when you have the oil changed. If your tires are worn down due to mileage or high temperatures, your oil change technician will usually point this out. Many oil change shops now will do an inspection of all fluids, check the tire pressure and note if your tire tread is getting thin. They will let you know if your tires should be changed. If they fail to point this out, ask them to check for you specifically. Ask for advice regarding your tires. Make sure that your tires are at the proper tire pressure and have the correct amount of tread. This will ensure that your tires are safe to drive on at all normal speeds. They will also ensure that you get the best possible gas mileage as well. With the cost of gas these days it is important to make sure that everything is working properly on your car. So that you get the best possible gas mileage. This includes your tires.
. Goodyear tires, like any other tire should be inspected visually on a daily basis or whenever you plan to drive your car. A quick glance will let you know if the tires are properly inflated, within several pounds. A closer inspection once a week should also be completed to observe tire pressure and any possible damage to the tread or the rim at the time. This sort of check can be completed in seconds as you approach the car! Many new cars also have tire pressure monitor systems installed. 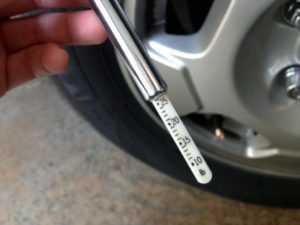 New cars are very accurate, however if you have an older car, the tire pressure could be down a few pounds before an alarm is triggered in your car about the need to check your tires. Check your tires often. GoodYear Tires operate the same as any other tire. You also get what you pay for. By that we mean that if you buy a tire that is good for 40,000 miles, don’t expect to last longer than that. 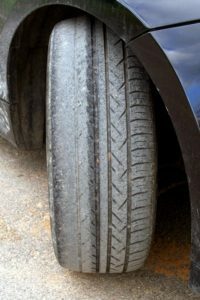 the following are some of the issues that motorists should consider regardless of the kind of tires they purchase. When a Goodyear tire goes flat it should be removed immediately to be inspected and repaired. If you drive on a tire for a short distance the tire could be permanently ruined. Even driving a short distance can ruin a tire. 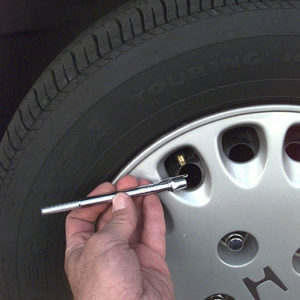 Punctures that are smaller than ¼ inch can usually be related. Larger punctures or holes cannot be usually repaired. Sidewall punctures should never be repaired and the tire should be replaced. Goodyear tires should always be balanced when they are first installed on new rims. They should also be balanced whenever you feel vibration in the steering wheel or the car in general. Continued vibration may harm the tires and cause them to overheat or wear unevenly. Some tire companies suggest that the tires should be balanced at least once per year. Good year tires can last much longer if consumers maintain proper balance, if they maintain proper inflation and alignment. Visually check your tires every time you drive the car and a thorough check each week. Any time you feel any vibration, have your tires checked and balanced. With a set of four tires costing as much as $500 or even more with installation and wheel balancing, it makes good financial sense to check your tires often. Even a quick glance will be enough to notice if anything is wrong. It could save you a lot of money by increasing your gas mileage, by giving more stability when driving at high speeds and avoiding accidents. Tires wear quickly when they are under inflated which leads to premature replacement. If your tires are wearing more on one side of the tire than the other, check your cars alignment. This should be tackled immediately as soon as you notice this uneven wear on the tire to avoid the tires being ruined and having to spend a lot of money on a set of new tires. For more posts about buying tires and tire performance, click here. How do you know what the best tires are for your car? Most people just go to the dealer or to a tire company and tell them the kind of tires the car came with and install new tires from the same manufacturer. Sometimes the dealer will look it up in a database he has access to, while other times you will have to check the existing tires to see what they are. Size and manufacturer are the key bits of information. They have to be of the same size and width to fit your car and there are usually many different ones that can be installed. Some are made for summer, some are made for winter, but most people put all season tires on their cars unless you happen to be in a state or province were they make it mandatory to have snow tires installed in the winter time. Tires also come with various load ratings and speed ratings. How do you know what speed and load rating to install on your car? The reality is you do not. Most people just need to rely on the dealer’s recommendation to install the best tires for their car. Or at least those that are rated for each make and model along with the type of driving that you do. Your car’s manual will have a section that will advise regarding the type to install. Our tires are P215 60R16 M&S! Whatever does that mean and how do you make a selection that will fit your car? The M&S is the easy part. This means Mud and Snow. Mud & Snow is supposed to be ok for both conditions in addition to summer time driving. 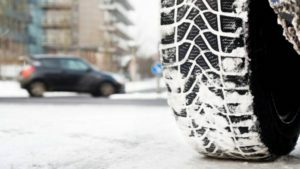 They are generally ok, however if you want to have good traction, consumers should really consider winter snow tires with heavy tread meant for snowy conditions. M&S wheels are not great in heavy snow conditions and most people will install snow tires for the winter time if they drive every day in snow conditions for safety. You can change the width of the tire. However you cannot change the rim size. If you do, the actual speed will be faster than what is shown on your speedometer. This depends on whether you add larger or smaller rim sizes. Your car has been designed for a specific size. Your car will have the best handling characteristics and the best gas mileage with wheels that meet these specs. Hence anything different will affect the car. Most people just have to tell the company they are dealing with the make and model of the car. They will add the right kind of tires. There are tires that will last longer and will be able to handle higher speeds at hot temperatures. As a result longer lasting rubber usually cost more and make sense if you are keeping the car for a long time. If you planning to sell your car, you may not want to spend much money on new wheels. Of course this is another factor to take into account when you are buying wheels. Find the best for your car at the best tire price. As a consumer, I have always wondered why I should rotate the tires on my car and how often they should be rotated. Apparently there is a proper way to rotate the tires and a wrong way to do it as well. I have had many cars over the years and for some I have rotated the tires, while others I did not bother at all. I did not notice a difference in the way the tires wore out or even if they wore out prematurely. The experts say that you should rotate them often. Apparently every 12k miles is recommended by some car dealers. I have brand new tires on my car and they come with lifetime rotation and warranty ( the warranty is prorated). I have no excuse to not have them rotated. However I thought I should really investigate this tire rotation business and why you rotate your tires. My new found knowledge is being passed along on this website for those of you who care about these sorts of things. Each wheel should be moved from one location on your car to another location on your car at regular intervals. Check your cars manual for the recommended period, however for the warranty I received with my tires, my tires need to be rotated every 12,000 miles. 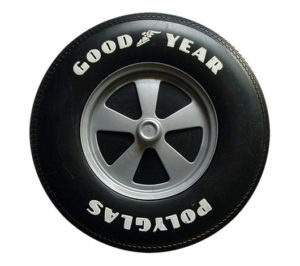 Consumers who also have a full size spare with their car should have this tire included in the rotation so that all tires have the same uniform wear on them. Specific tire rotation guidelines also apply in terms of were you place the tires. For cars that are front wheel drive, front tires are moved to the back and across. For example your left front tire should be moved to your right rear location. The left front tire should be moved to the right rear location. Both rear tires should be moved straight ahead. Following this approach all four tires will occupy each position over time and they should wear evenly provided your alignment is ok. The picture above shows other possible tire rotation patterns, however you should follow your cars manual for the proper pattern. This was something that I never really understood until I did a little bit of research. It turns out that your front tires do a lot more work than the rear tires even though they both cover the same distance. First of all the front of the car weighs more with the engine weight on them, secondly they perform the majority of the work pulling the car with front wheel drive cars and they do the majority of the braking. All of this seems pretty obvious when you think about it. The last two reasons were a bit of a surprise to me but they do make sense. Your front right tire is more likely to hit debris on the road so it will take more of a beating from stones and glass than the other tires as well as hitting the odd curb. The left front tire is put under more stress since we tend to take left hand turns at a slightly higher rate of speed than we do right hand turns in North America. The reverse is true for parts of Europe were they drive on the other side of the road. As a result of all of these reasons, rotating your tires makes sense to spread the load and to ensure that your tires wear evenly. When you include your full size spare tire in this rotation, you will ensure that all of your tires wear at the same speed. If you ever have a flat tire, your spare tire will more evenly match the tires on the car as well. One more thing about your spare tire. If your spare tire is not the same make and model of tire that is on your car, you may want to forgo including your spare tire in the tire rotations. different tires handle differently and may cause some instability as a result in your driving. In my case, my spare is not the same as the four tires I just purchased so I will not include it in the regular tire rotation exercise. Your comments and suggestions are welcome. Particularly those that will assist our readers. We will approve all well written comments that information to the web site to help our readers and we will approve the links to your site if the comments are informative as we mentioned. All terrain vehicles are small motorized vehicles devised especially for off-road usage. The usually will seat one rider and can have from two to six tires depending on the type of machine. These hardy vehicles are designed to take on difficult terrains and are becoming increasingly popular nowadays as sports vehicles as well as utility vehicles in off-road conditions. Tires for All Terrain Vehicles are designed for off-road conditions for these vehicles and therefore are unstable at high speeds. It may be mentioned that motorcycles, jeeps – land rovers and similar other vehicles capable of off-road usage are available as well. All terrain vehicles can be taken over all kinds of rough terrain to places that most jeeps and land rovers cannot operate. All terrain vehicles or ATVs can be used for pleasure purposes, for hunting and for work or travel on off-road sites. Some ATVs are also called 4 wheelers or quads because they have 4 big knobby tires. However, some models of ATVs will also have 6 or 8 wheels. All terrain vehicles come in a variety of makes, models and sizes from many different manufacturers. 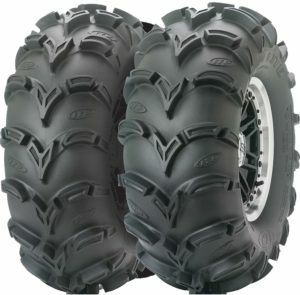 There are many different types of tires for all terrain vehicles or ATV’s . Some are meant for higher speed, some are meant to protect the grass on golf courses for example, some have big knobby tires to provide extra traction in slippery conditions and some are large balloon like tires for use in muddy or wet conditions. Before you purchase an ATV, discuss your planned use with the sales person so that you have an ATV and tires that match the conditions you will use your ATV in. All terrain vehicles may be very basic with skid steering, balloon tires and no suspension. There are also more sophisticated models too featuring track conversion systems for use on a variety of terrain conditions for all seasons. Using these you can get around just about any terrain and at any time of the year. These vehicles enable carrying out a number of activities effectively in punishing conditions which no other vehicle could get to. The utility models of ATVs are appropriate for range land or farm projects. The four by four units of ATVs provides good grip over rugged terrain while automatic transmission simplifies operation. Again, the two by four ATV units with 250-300 cc four stroke engines are easier to maneuver over long periods of operations at slow speeds such as spraying. Whether it is fence repair or getting into the bush to cut trees, ATV’s can usually go were other larger vehicles cannot. Kids as well as adults will drive ATV’s over uneven ground at sometimes a very fast rate of speed. They are easy to tip and ATV’s have been known to flip on their passengers, sometimes severely injuring them. Drive at a speed that matches the conditions of the track you are on. Use safety equipment and wear a helmet. Carry an electric air pump and tire-plug kit with tire sealant (for helping seal tires while operating in thorn infested or rocky landscape). These will come of use in repairing flat tires in difficult uninhabited terrain.